My heart is breaking. I can’t imagine how I would feel, as a 20-or-so year old, finding out that my college, my home, my world, is closing. Sweet Briar College, a women’s institution founded in 1901, is closing its doors, due to “insurmountable financial challenges”. I know that during my time at Salem College, I lived in that bubble in a serious way. Yes, I was venturing out and about, and learning about my world and how I would contribute to it, but I was also surrounded by some of the most wonderful and inspiring women, living in an architectural (and sometimes cultural – in a good way) time capsule, and my world was revolving around classes and projects and events and meal times. I can’t imagine someone telling me that all of sudden, my education is in jeopardy, I have to find a new home, and I can’t come back to the place I love. Luckily, I know that women’s colleges across the country are not closing their doors. They are preparing for more women to transfer in, and make the most of an experience that’s been forced on them. I know that Salem is probably not alone in preparing to welcome newcomers from Sweet Briar. We’ve had an anonymous alumna volunteer to pay the application fees of any Sweet Briar transfer applying for this coming fall. That’s huge, y’all. I posted an article on Facebook yesterday about 10 other women’s colleges that are thriving in the midst of this sadness. They listed Sarah Lawrence College (which got a shout out in 10 Things I Hate About You), Salem College (my sweet, fantastic alma mater), Mills College, Simmons College, Bryn Mawr, Spelman College, College of St. Benedict, Mount Holyoke College, and Converse College. However, they didn’t add Hollins, Meredith, Agnes Scott, or Wellesley. And those are just the ones that I know off the top of my head and didn’t have to look up! Women’s colleges and universities are thriving all over the country, making women more and more awesome as we speak. I’m proud, ecstatic, and thrilled to be one of those women. Now the next thing I say might get some pushback from even Salem graduates. But it needs to be addressed. 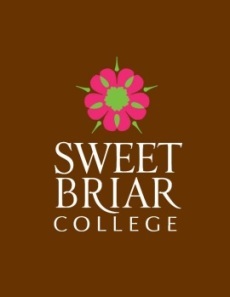 Are you also sad that Sweet Briar is closing? Or that Randolph-Macon Women’s College became co-ed in 2007? Or that Peace College began admitting men in 2012, and then changed its name a couple of years later? There’s an easy way to help. Donate. Give. I know, I know… you feel like there was one experience you didn’t feel was a positive one. Or maybe you feel like you were forced to stay there by a parent who told you that transferring wasn’t an option. Or maybe, like me, they don’t even offer your degree anymore, so why give? Those are selfish reasons. If other women are getting a great education, being shaped into incredible women, why not give for those women? Why not donate even a little bit for those women? Or so that your degree won’t be discontinued? Or that those crappy dorms can be updated? Anyone can donate to any college. There are annual funds, capital campaigns, tons of funds to donate to for every school. Your small gift can mean that one more woman can be set up for a successful and happy life. It’s that simple.